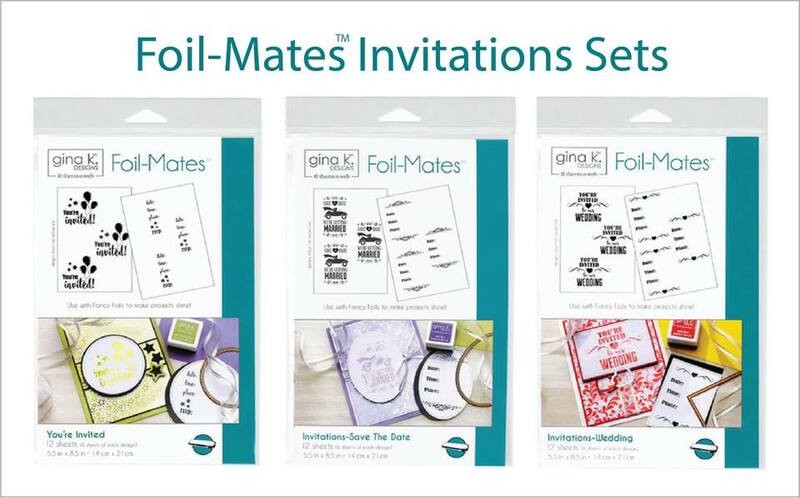 Gina K. has received such amazing feedback on the new Foil-Mates, Fancy Foils and dies! So we decided to put together a special hop for you today! 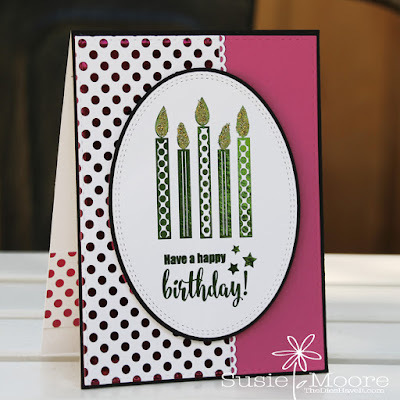 This blog hop is a blend of a video blog hop featuring tutorials from Gina K. and a few members of the team, as well as a traditional blog hop featuring beautiful cards from other members of the team. 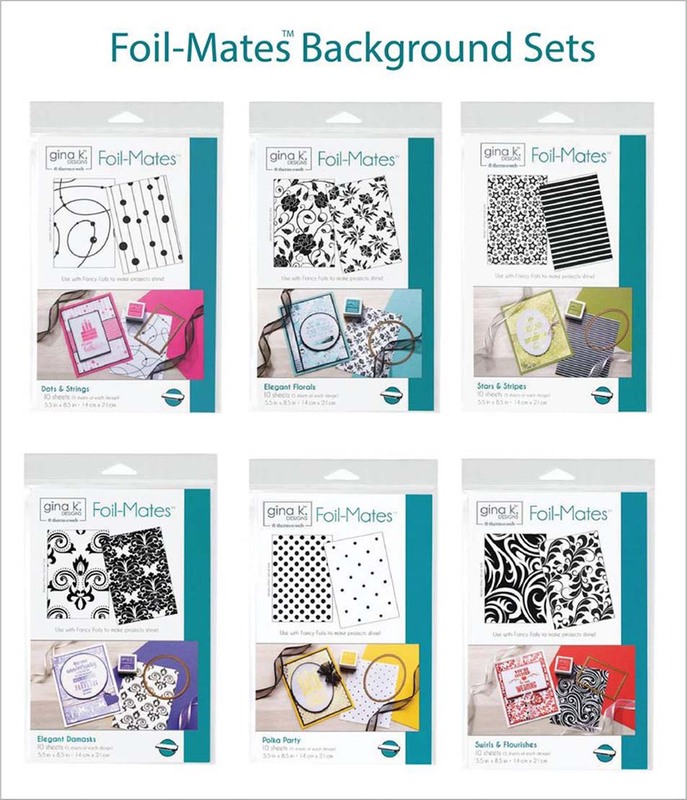 Over the past few weeks, the Foil-Mates products have been flying off the shelves at Gina K. Designs. Please be assured that if they are out-of-stock, they will quickly be back on the shelves again soon. 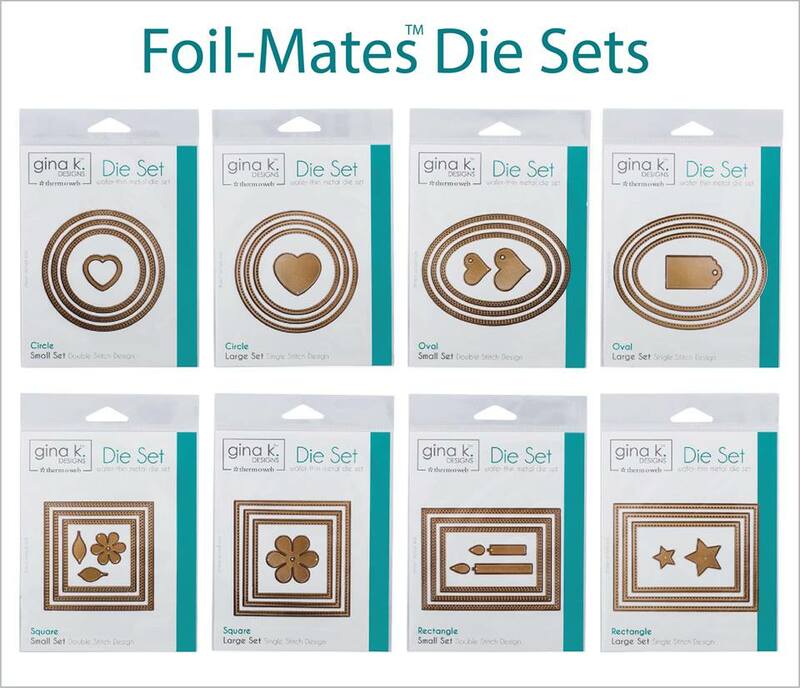 In fact, Gina just stocked the shelves with a fresh batch of Foil-Mates, Fancy Foils and dies and more are on the way. 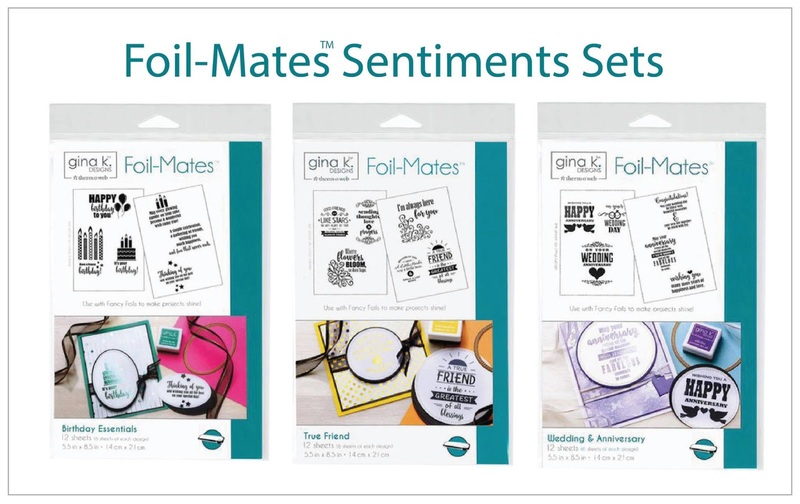 Using the Foil-Mates line makes creating beautiful and shimmery cards so simple. 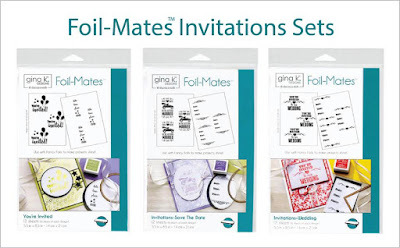 With many of Gina’s most popular signature colors now available in foil, coordinating your designs with our card stock and ink has never been easier! 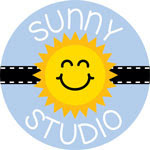 We hope you will enjoy the inspiration from the team and then comment on each blog. 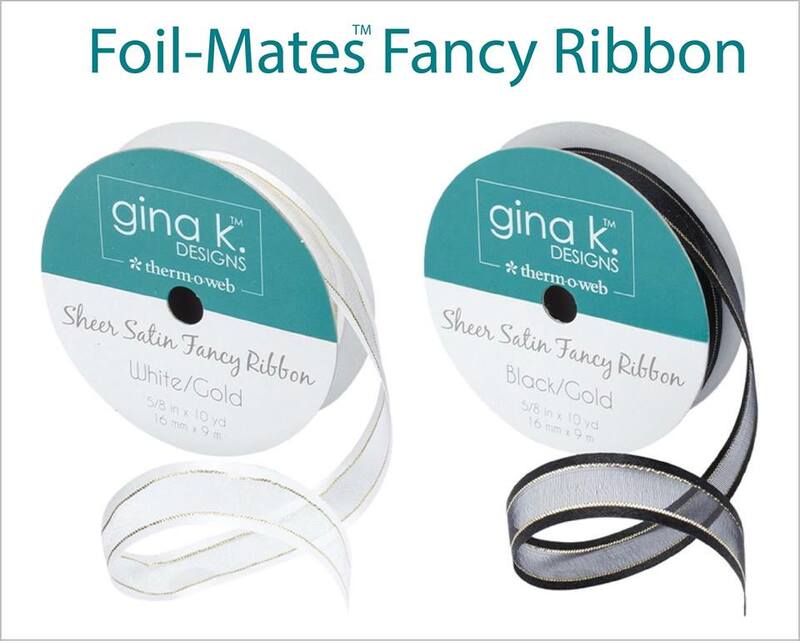 We will be selecting one lucky commenter at the end of the hop who will win a $50 Gina K. Designs gift certificate! To see who won, check the Big News Forum a few days after the hop. Thanks for stopping by. I'll see you again tomorrow too! Susie, these are beautiful CAS designs! 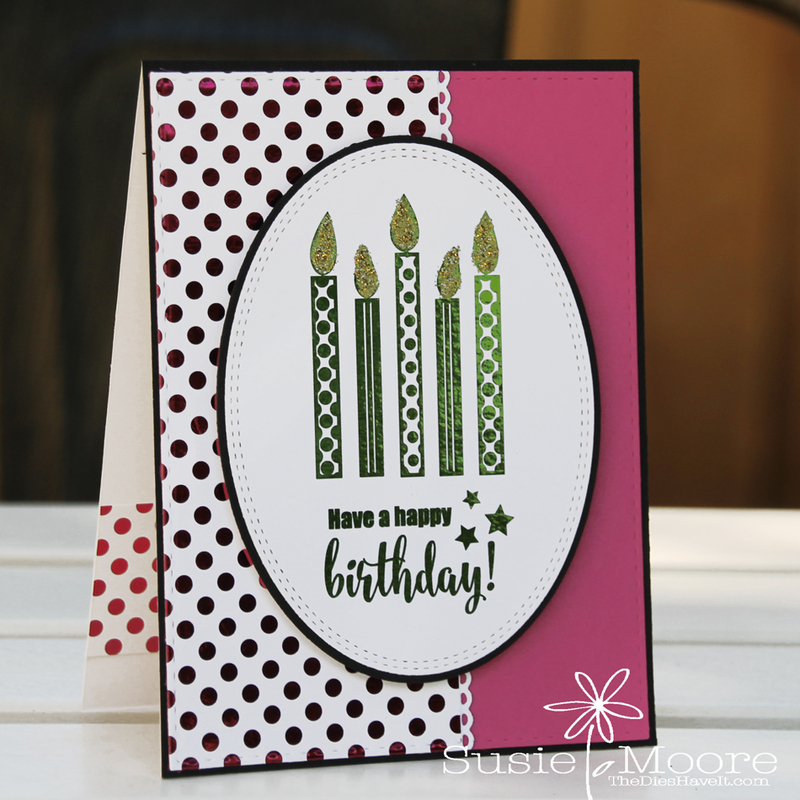 Fabulous cards, Susie! Love the beautiful CAS designs! These are beautiful cards! They look simple with your layout. Lovely cards. I think my fav is the birthday card! Too cute! 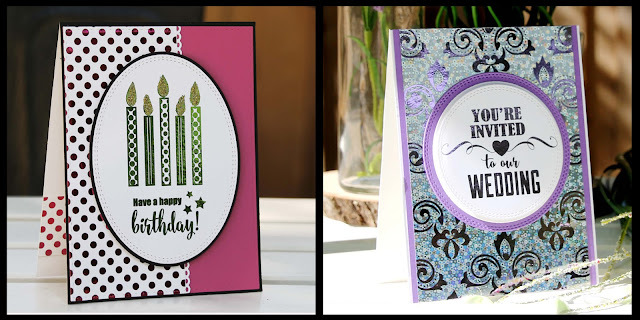 These are lovely cards, thanks for the design ideas. Beautiful cards!! Thanks so much for the inspiration! Love the wedding invitation! But, both cards are really lovely. Thanks much for the ideas! These are both very beautiful. Love that wedding card. Awesome cards, thanks for sharing!! Beautiful cards! Love how you kept them simple! Thanks for sharing! Sussie, love each one of your cards. 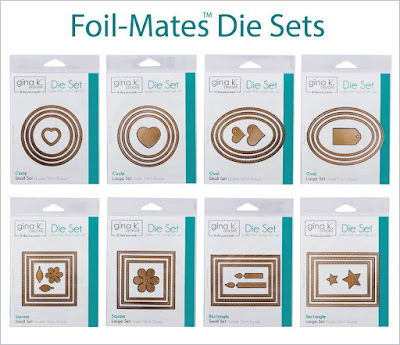 I love these beautiful designs you have made with the foils. I love a more simple design and these are just my style. 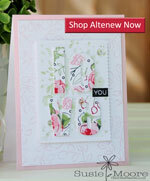 Simply beautiful cards! Great job. So pretty! The wedding card using the negative piece is just stunning! 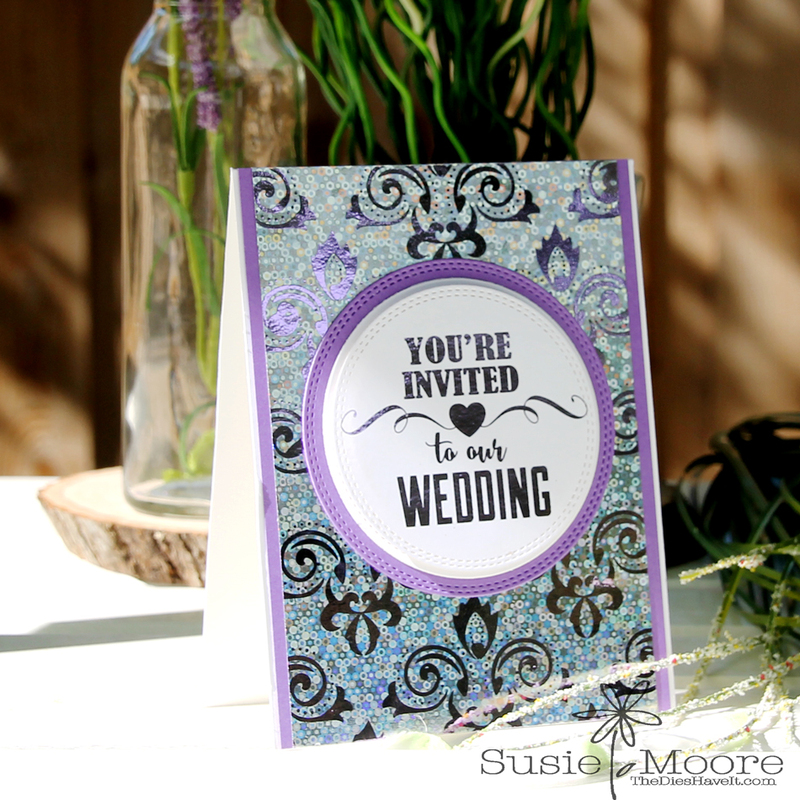 The polka dot card is adorable and the wedding card is stunning! 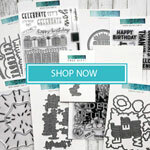 Awesome cards.Your wedding card is wonderful. 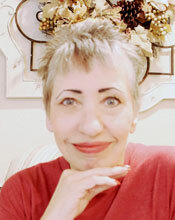 I always enjoy viewing your cards Susie. You do some great CAS designs. Beautiful wedding card! 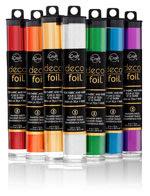 Love these foils! Your cards are outstanding. Love the great inspiration. Awesome cards Susie!! 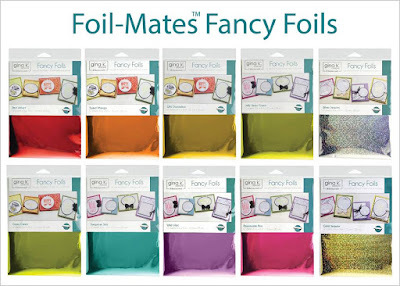 I am in love with that dotted background foil mate!! Spectacular cards! Love the foil backgrounds. I love your cards! 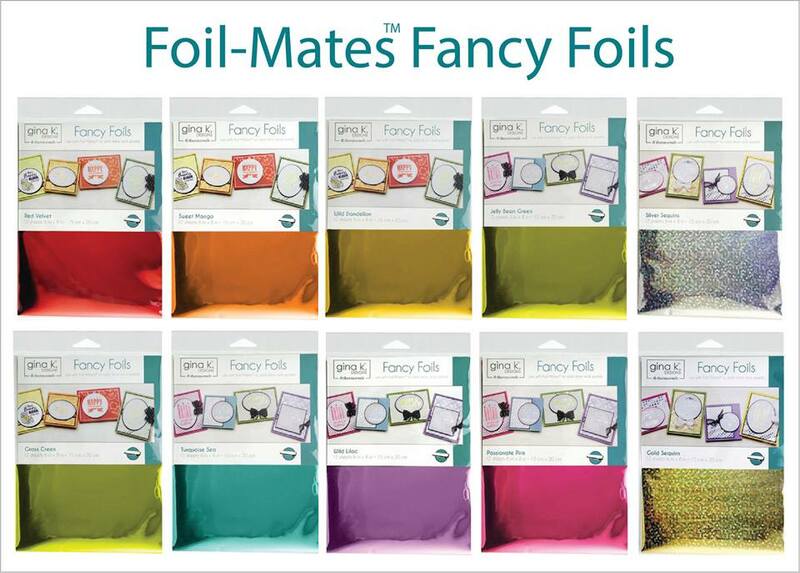 Foil-mates sure do dress them up! Beautiful cards! I'm loving foil more & more! Beautiful cards and I love them. I like the background on the birthday card. Thanks for sharing. Beautiful cards & the foil just makes them magical! Your cards are so amazing and beautiful!